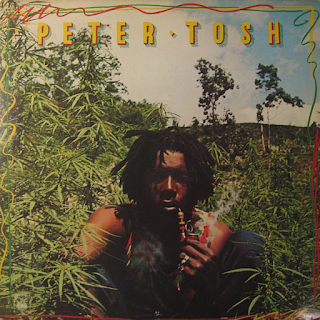 This was Peter Tosh's debut album after leaving Bob Marley & The Wailers. Most of it was recorded in 1975 and released the following year. It is not as "full on" in its issue-driven messages as subsequent albums, containing a few more "fun" numbers. However, Tosh's obsession with marijuana and his feelings of persecution by the police over his liberal use of it are strongly represented on the album. He was arrested several times, so he definitely had an axe to grind. The follow-up album, "Equal Rights" is far more militant, however. There is also a Rasta devotional number, reflecting the powerful "roots" movement that was prominent in many reggae recordings in this period. This is a roots album, a Rasta "conscious" album, a ganja album, but it also is a very catchy, melodic one too, for Tosh had a real ear for a killer tune. It is certainly not all deep, dense, dubby stuff as Tosh knew how to harness those delicious horns and skanking riddims. There are several "relationship" numbers on here as well. The title track is a slow burning groove in praise of marijuana calling, obviously, for its legalisation. As well as that, asthma, tuberculosis and glaucoma are some of the ailments Tosh claims the herb is good for. "Burial" is a big, bassy Wailers-esque number featuring some excellent guitar and organ backing. 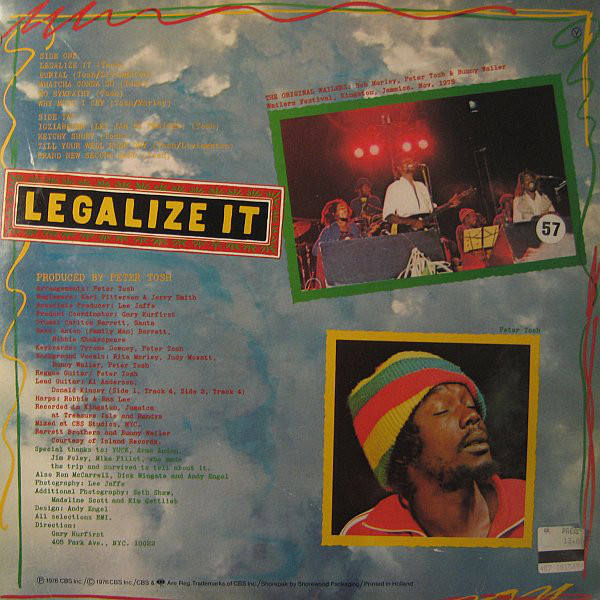 The lighter side of Peter Tosh first arrives in the tuneful, infectious fluff of "Wat'cha Gonna Do". For all his pontificating, he definitely had a more carefree side, both lyrically and musically. The Wailers missed him when he left. "No Sympathy" again echoes some of the material on The Wailers' "Catch A Fire" and "Burnin'" albums. It is a heavy rhythm, but a lilting one at the same time. "Why Must I Cry" is a gentle, romantic skank. The mysterious "Igziabeher (Let Jah Be Praised)" is the first true Rasta proclamation. It is packed full of dubby resonance and lyrics warning of earthquakes, lightning, fire and brimstone. "Ketchy Shuby" is a singalong piece of enjoyable nonsense with a nice easy skank to it. Nice bass line on it too. "Till Your Well Runs Dry" is a typical Peter Tosh song that mixes fast and slow rhythms on another one with a romantic feel to it. It features some great electric guitar near the end. "Brand New Second Hand" once again summons up the 1973 Wailers spirit. Overall, this is an enjoyable, surprisingly light-hearted album in places. All Tosh's albums are pretty accessible, it has to be said. As I pointed out earlier, he could write a good tune. *** the "legacy edition" features the "original Jamaican mix" of the album (similar to "Catch A Fire"). These mixes are slightly heavier, rootsier and are full of atmosphere.